Trisha Phillips is an Internationally Certified Clinical Supervisor (ICCS) with over 15 years experience working in the field of addictions. Trisha holds a Master of Science in Psychology degree and also a Bachelor of Science in Human Services Management. In 2001, she initially became certified through the Illinois Alcohol and Other Drug Abuse Professional Certification Association (IAODAPCA) as a Certified Alcohol and Drug Counselor (CADC). Presently, Trisha is certified through IAODAPCA as a Certified Supervisor AODA Counselor (CSADC), a Mentally Ill and Substance Abuse – I (MISA I) professional, and also holds a Gender Competency Endorsement (GCE). Trisha maintains active membership with the Illinois Alcoholism and Drug Dependence Association (IADDA) and Citizens Organized for Recovery Education (CORE). 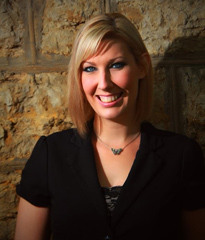 In addition to her education and certifications, Trisha has a great deal of experience working closely with individuals and families experiencing problems related to alcohol and/or other drug use. Trisha provides direct counseling services in both individual and group settings and has taken a special interest in the Secretary of State License Reinstatement process. 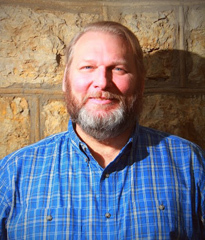 Jack Phillips has over 25 years experience working in the field of addictions. Jack is credentialed as a Certified Alcohol and Drug Counselor (CADC) through the Illinois Alcohol and Other Drug Abuse Professional Certification Association (IAODAPCA). Jack maintains active membership with the Illinois Alcoholism and Drug Dependence Association (IADDA) and Citizens Organized for Recovery Education (CORE). Jack lends a unique perspective to the counseling experience as he, himself, has been in recovery since 1989. Being a recovering individual lends to both his credibility and experience as a professional. Jack is a dynamic personality. He enjoys group facilitation, individual, and family counseling. Jack is passionate about helping others achieve a greater quality of life through making healthier life choices. Additionally, Jack is very well versed in the Secretary of State Administrative Hearing process and has an interest in helping individuals make the life changes necessary to become an eligible candidate for driving relief.